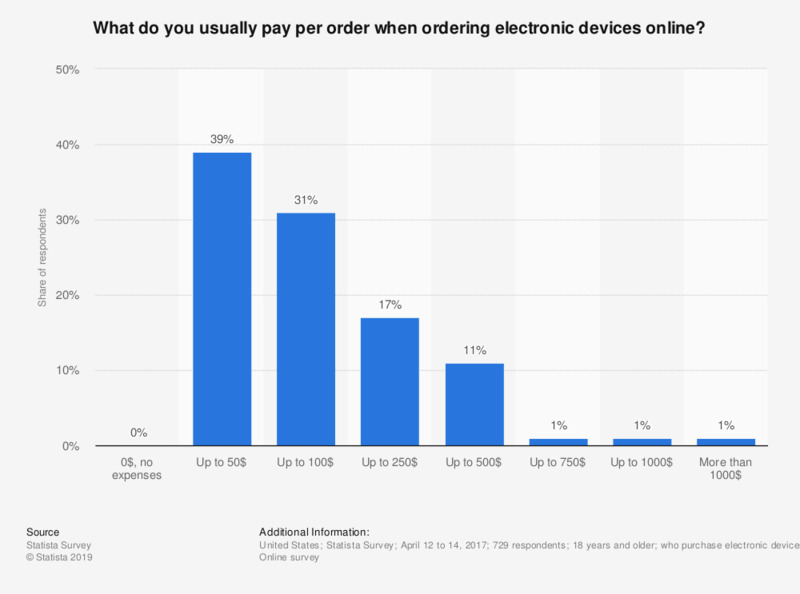 This statistic displays the average order value of online electronic device orders in the United States as of April 2017. During the survey period, 31 percent of responding online electronics shoppers stated that their usual online electronic device order amounted to up to 100 U.S. dollars. How many in percent of your online orders of electronic devices do you return? We are referring to the number of deliveries, no matter how many items they contain. If you're not sure, please estimate.